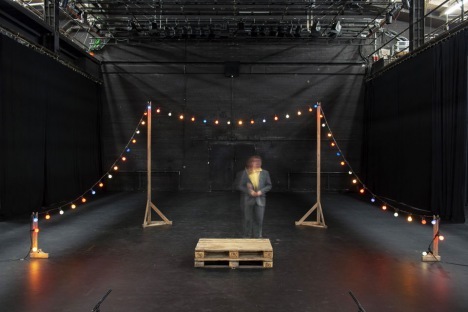 Fierce is really excited to be attending the performance of the final chapter of ‘It’s moving from I to It.’ Written and Directed by Tim Etchells. The piece is commissioned by London-based curatorial initiative FormContent and is a new performance for two actors. ‘It’s moving from I to It’ has taken shape through a series of commissioned text, workshops, exhibitions, readings and public events, including an exhibition at Eastside Projects in 2012. Tim Etchells was invited to draw upon the dense body of voices and responded with a linguistically unstable performance, a subjective and playful reading of the thematics of the whole project. A performance not to be missed- Tim Etchells is also Artistic Director for Forced Entertainment, who are featured in Fierce 2014! Tickets £5. Book by emailing james@eastsideprojects.org. Pay on the door.